The Jackson Academy Band contributes to the enthusiasm and school spirit which is such an integral part of Jackson Academy. The JA Band is also recognized among the premier educational performing ensembles in the nation. The JA Band and other performance ensembles supporting the JA program have developed a reputation for innovative and entertaining marching programs, mature performances of sophisticated jazz and wind literature, excellence of individual performers, and commitment to artistic integrity. The success of the JA Band program centers on pride, commitment, and a nurturing environment. Although not every student is expected to become a virtuoso musician, each student is encouraged to establish both short- and long-range goals for improvement on his/her instrument, to exhibit mature, responsible attitudes and actions at all times, and to be willing to contribute personal effort for the benefit of all. The JA Band program exists to provide an excellent musical experience for all students. This is achieved through individual and group study including varied performances in many venues. The program functions around a curriculum which places an emphasis on comprehensive musicianship. Performance opportunities include large ensembles, chamber ensembles, and solos. The life skills that JA Band students acquire in this program are directly related to many skills necessary for other career fields. Opportunities are also provided for those who wish to develop their leadership skills. There is an extensive student leadership program and student leaders are relied upon to help achieve organizational goals. Social skills are also developed. Participation in the JA Band enables the students to form close friendships within the school through their collaborative efforts and the opportunity to work with their peers as part of a team. 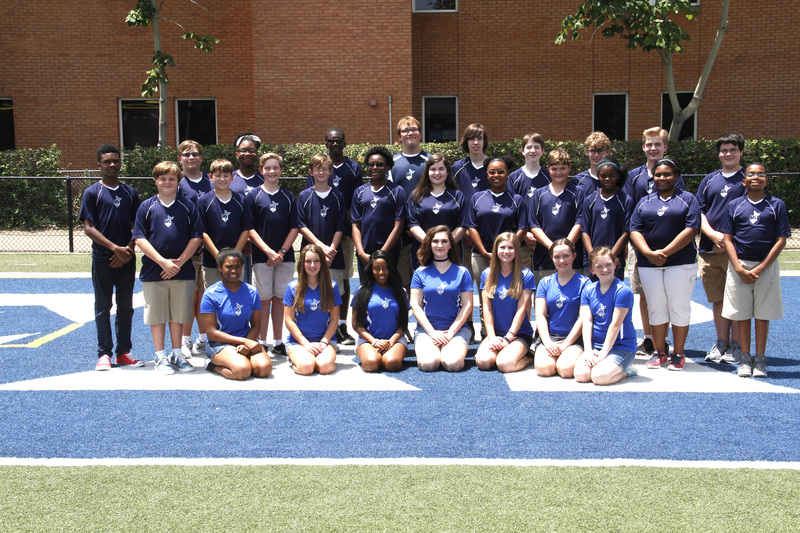 As a member of the Jackson Academy Band, students make long-lasting friendships and develop a sense of camaraderie. Organizational goals are clearly established, and the students depend heavily on each other to achieve them. As a result, the concepts of responsibility, teamwork and good citizenship will develop as each student experiences the world of music. The JA Band program strives to produce informed young adults of high integrity who understand and appreciate music and who will foster the continuing development of artistic and cultural endeavors in their community. For information about upcoming JA Band performances and activities, please visit the JA Band Blog.